You are here: Home / General Information / Animals Today December 9, 2017. 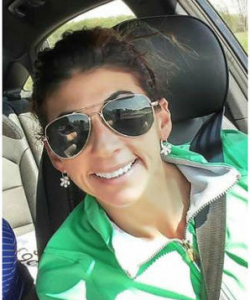 Legal analysis of the shooting death of an innocent woman by a hunter. Understanding the mind of the cow. Exploring Nat Geo’s Encounter Ocean Odyssey. Pets and stereos: Can we all get along? Marin County’s humane approach to managing wildlife / livestock conflict. The show begins with Lori speaking with Animal Legal Defense Fund Senior Staff Attorney, Diane Balkin, about the recent shooting of Rosmarie Billquist, who was killed by a hunter while walking her dogs in a field behind her home. The hunter, Thomas Jadlowski, shot at what he believed to be a deer with a high powered pistol, and Billquist died on the way to the hospital. The hunter has been charged with manslaughter and hunting after hours. Balkin explains the key legal aspects of this case and other unintentional shootings resulting in injury or death to people. Peter then welcomes Dr. Lori Marino of the Kimmela Center for Animal Advocacy. Lori is co-author of a new scientific publication, The Psychology of Cows. This is a paper in a series, part of The Someone Project, a joint effort between Kimmela and Farm Sanctuary, which aims to educate the public and the scientific community about who farmed animals are. Marino states that cows are intelligent, complex, caring beings with individual personalities. Please consider visiting a farmed animal sanctuary to spend some time with these gentle animals. 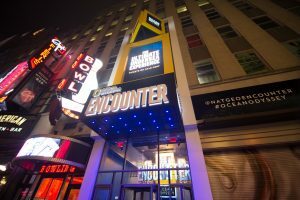 Then, Peter recently enjoyed a visit to Nat Geo’s Encounter Ocean Odyssey and discusses the development of this new Times Square attraction with Lisa Truitt, Chief Creative Officer and Partner at SPE Partners. Encounter Ocean Odyssey is an enthralling, immersive walk-through attraction that brings you into the hidden undersea world, but without captive animals. Peter and Lori then talk about the conflicts that can occur between owners of stereo equipment and our companion animals. Can a truce be reached? The show concludes with Camilla Fox from Project Coyote, with news for Marin County, California on how it promotes non-lethal methods to deter wild animals from disturbing livestock. A film about this is in the works. 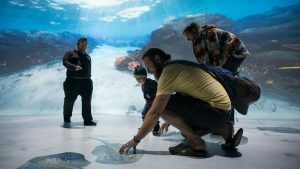 Nat Geo Encounter shallows interactive room.